Asa Griggs Candler Professor of Mathematics Ken Ono plans to leave Emory at the end of Summer 2019 to serve as the University of Virginia (UVA)’s distinguished chair of mathematics. Ono has received numerous awards for his research in number theory, combinatorics and algebra, including the Presidential Career Award (PECASE) from former U.S. President Bill Clinton, the National Science Foundation Director’s Distinguished Teaching Scholar Award, a Sloan Fellowship, a Packard Fellowship and a Guggenheim Fellowship, according to his website. Emory hired and appointed Ono to his endowed position in 2010 under the Science Faculty Distinction program, an initiative to strengthen the Mathematics and Computer Science Department. Ono said he will lead a research team in algebra, number theory and combinatorics and “[play] a major role” in UVA’s Institute of Mathematical Science (IMS). In celebration of its bicentennial in 2018, UVA allocated $75 million “to attract and retain a class of distinguished professors across its many academic disciplines,” according to its website. With the gifts and donations from its bicentennial campaign, UVA is investing in its mathematics department “on a scale that is not reasonable or possible at a school of Emory’s size,” Ono said. At Emory, Ono has served on the Faculty Senate, the Emory McMullan Award Committee, Honorary Degree Committee and Committee to Award Chaired/Named Professorships, according to his CV. 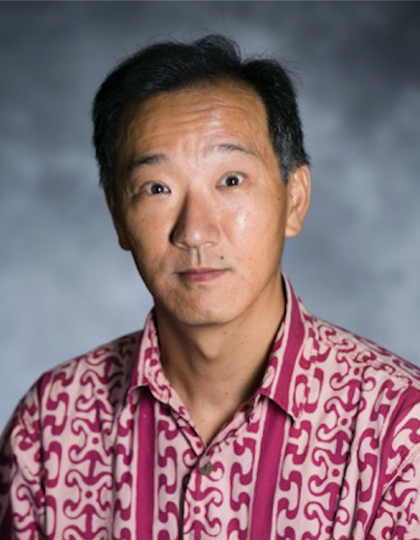 Off-campus, Ono is the vice president of the American Mathematical Society, an advisory board member of the Conference Board of the Mathematical Sciences and a member of the U.S. National Committee for Mathematics. He previously served as a U.S. delegate to the International Mathematical Union General Assembly in 2018. Ono said his favorite undergraduate class to teach was Foundations of Mathematics. He also served as the sole professor for Number Theory. Madhumitha Kumar (20C), who took both classes with Ono, said Ono’s teaching was vital for student development and real-world applications. “He’s laid such a huge foundation for any math student of his to come up in life and to use math in so many different ways that can’t even be imagined,” Kumar said. Ono expressed gratitude for the relationships he formed across campus, including College Dean Michael A. Elliott, former College Dean Robin Forman and Jimmy Carter Professor and department chair of History Joseph Crespino. Elliott commended Ono for making a mark on Emory during his time here. Ono said he enjoyed serving as a mentor for graduate students. “Watching someone in their 20s grow scientifically so that they end up being professor and having that be absolutely meaningful. It’s why I do what I do,” Ono said. Along with a greater leadership role at UVA, Ono said he looks forward to living closer to his parents and the variety of outdoor activities in Virginia, including hiking and mountain biking. The mathematician was previously a professional cyclist. Combining his passion for athletics with mathematics, Ono has been working with Team USA Swimming along with Jon Howell and Madeline Dowsey on the quantitative study of elite performance swimming. However, he plans to stop his work on the project at the end of the summer. Ono said his favorite memories at Emory include handing his daughter Aspen Ono (18C) her Emory College diploma, watching his wife Erika sing in the Emory Choir and cheering for his son Sage Ono (20C) at swim meets. Samuel Candler Dobbs Professor and Chair of the Department of Mathematics James Nagy said he will miss having Ono as a colleague.